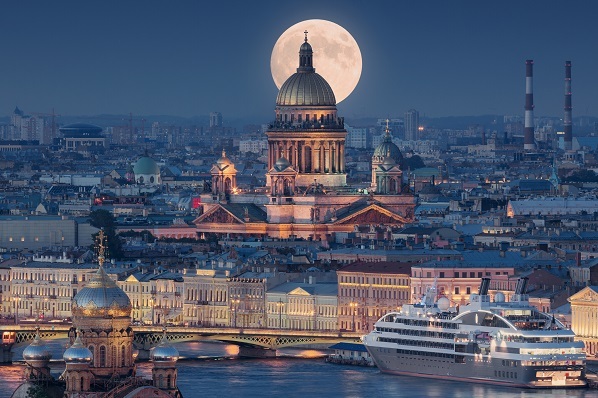 Saint Petersburg has been recognised as Europe’s Leading Destination for the second year in succession by the World Travel Awards, with Saint Petersburg Committee for Tourism Development Chairman, Andrey Mushkarev, collecting the trophy at a glittering ceremony in Italy. Also receiving top titles during the Europe Gala Ceremony 2016 at Forte Village Resort in Sardinia were Europcar, taking the trophy for Europe’s Leading Car Rental Company, and the Madeira Islands, which took the title of Europe’s Leading Island Destination. French tourism capital Lyon was also celebrating after being recognised as Europe’s Leading City Break Destination while Rome Cavalieri, Waldorf Astoria Hotels & Resorts, was presented with the trophy for Europe’s Leading Luxury City Resort. In the aviation sector, Lufthansa defended its title of Europe’s Leading Airline. World Travel Awards President Graham Cooke said: “It has been a pleasure to recognise some of the best in European hospitality here at Forte Village Resort this evening. Running in parallel was the World Spa Awards Gala Ceremony 2016, which was visiting Europe for the first time after debuting in Vietnam last year. Here Talise by Jumeirah was the big winner, taking the coveted title of World’s Best Hotel Spa Brand. Also recognised by World Spa Awards voters were QMS MediCosmetics, presented with the trophy for World’s Best Spa Brand, and Sardinia, Italy, which claimed the title of Europe’s Best Wellness Destination. Forte Village Resort was the perfect host for the dual-event. The world renowned location stands in a unique 47 hectares tropical park setting on the beautiful south coast of Sardinia, approximately 40 kilometres from Cagliari airport. The resort is a world of its own, with a wide choice of four and five star hotels, beachfront suites and villas, restaurants, pools, sports activities, children’s clubs and entertainment, on a magnificent beach where guests can be as active or relaxed as they wish. World Travel Awards will be announcing its 2016 European winners at the annual Europe Gala Ceremony to be held this year at Forte Village, Sardinia, Italy on September 4th.